Chris: On today's podcast, we recap the November Mailer's Technical Advisory Committee meetings in Washington DC, so let's get into it. Chris: Well, welcome to the podcast. Hi Anita. Anita: Hi Chris. How are you? Chris: I am doing great, thanks. I hope your flight back from the Postmaster General's Mailer's Technical Advisory Committee went well. Anita: Yes it did. It did of course I hit the Atlanta traffic, the congestion that we'll probably talk about today. Chris: Exactly. A little less congestion here in western New York. It's mostly just dodging deer at this time of year, but no, it was. It was a great day. It was a great MTAC meeting, you know, it was always a lot of information that's shared from the postal service, from the industry, good collaborative conversation and I'm often amazed, Anita, coming away from an MTAC. There's still so much going on in the mailing industry and there's so much to this ecosystem of mail that we're all a part of the over 1-trillion dollar industry, if you will. So there's a lot of things that were discussed last week, not too many surprises in one area, but some really good information shared. I think you'd agree. Anita: Oh, absolutely. So what I thought I would do is kind of run through my notes that I took during the MTAC meetings and then maybe you can just chime in and let me know if I've missed anything. It started out very interestingly because at the open session they had a last minute change to the agenda as you know, both informed visibility and informed delivery had been in the news recently. So they arranged to have Greg Crabb who's the Chief Information Security Officer and then Isaac Cronkhite, who's VP of Enterprise Analytics address the group about the recent news. So just prior to MTAC in fact, I wasn't even aware of it. Um, and I had to do some research after the fact, but a cybersecurity blogger who we now know is KrebsOnSecurity wrote about a vulnerability within IV. And so sure enough there was an issue with IV, the postal service addressed the problem and fixed it within 12 hours. So they, um, as far as the postal service knows there is no breach of any data, but the headlines read “Potentially exposing the data of 60 million users over the course of 2017 and 18”. Chris: Yeah, I saw that headline too and you know, I had a kind of wince a little bit and it's like obviously that's not a good headline, but at the same time, you know, you have to put in perspective. Right. And for our listeners' benefit, you know, IV, the Informed Visibility is the mail tracking system that the postal service has established and of course BCC Software providing our Track N Trace service does leverage the Informed Visibility data. Anita, we did see, and I checked with the team here in Rochester, New York, that there was a notice or we did experience kind of a slow down in the type of cadence of data that we're receiving. So we did see a kind of a blip on our radar here. But again, it was corrected as you said before, relatively quickly. So, you know, was it a breach of data? I guess in the most technical sense it was. But at the same time, what was the data that we're talking about its barcode tracking, so it's the five pieces of the full service IMB Barcode data that we're using. So you'd have to really take quite a bit of a leap to try and decode what exactly that is and certainly I think it would be arguable that's clearly not in the personal identifiable information or PII type stuff. So. Chris: Yeah, I heard that too. So it's an interesting thing. I'm sure that the crack team of the inspection services, uh, is looking into that, but I appreciate that the postal service was able to identify it, get it resolved quickly and I would anticipate we're going to hear more about that later on. 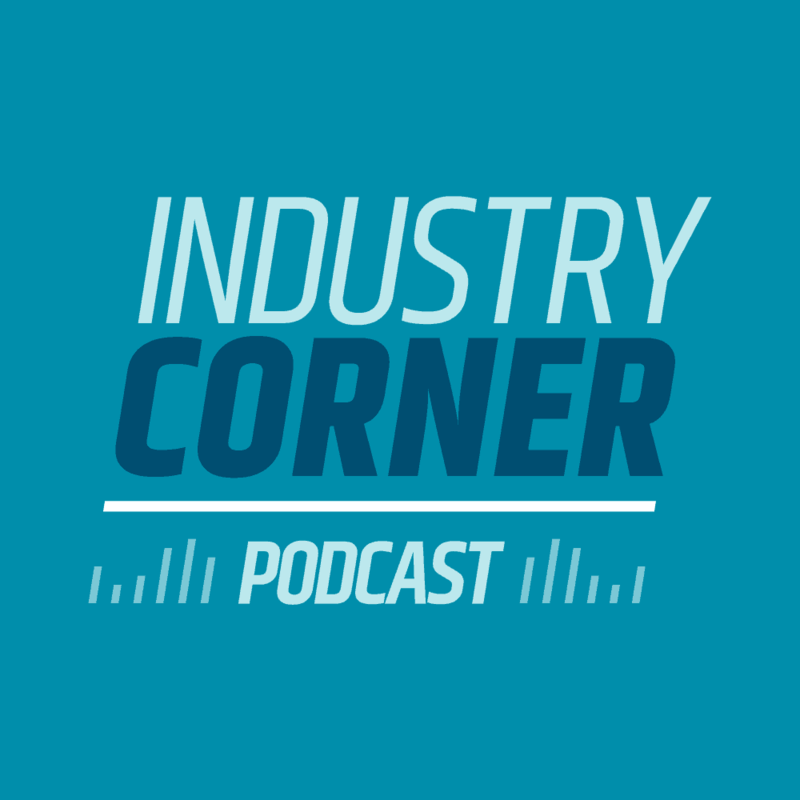 But for our listeners, the companies like BCC Software that are leveraging this Informed Visibility, data, and provisioning that to our customers, we're continuing to stay on top of the relationship with the postal service because that's essential. Informed visibility is the future of tying together that high touch of mail to the high tech multi communication. Anita: So I think on our last podcast we closed out by talking about the identity theft and it's linked to Informed Delivery. Well, that was also addressed and the postal service wanted to make sure that we understand that the identity theft occurred first. And that had nothing to do with the postal service, but then the thieves signed up for informed delivery so that they knew exactly when the credit card or whatever happens to be would be arriving in the mailbox. So one of the members of MTAC asked if the postal service would put out an official statement giving customers assurance that the system is secure and something we could pass along to our customers if they were nervous about the security. So the postal service reacted. We got, I think you got it as well on Friday after MTAC explaining how the postal service is expanding their security protocols and that it is a secure platform. So, but anyway, that was an interesting way to start out the meeting. Chris: Good acknowledgement from the postal service that they're staying on top of that and uh, and I appreciate the enhanced security protocols with the informed delivery. That too is an important part of the future of multichannel marketing and you know it's always disappointing to me to hear the extent that some of these theives go to trying to steal people's identity. Anita: Right. So anyway, then Dave Williams, the chief operating officer gave his report, which he regularly addresses MTAC, but he shared that for the first quarter they are actually using IMB census information from informed visibility rather than the EXFC measurement that they have in the past and you know, that they've been running parallel and the PRC has approved this new system. So going forward, I guess we'll be seeing, you know, strictly IMB performance data. And I think there was a slight improvement. I think when you looked at first class mail, it was slightly lower compared to EXFC, but it's much more accurate because it's measuring so much more mail than just a sampling system, so that was good and then he spent quite a bit of time talking about the election mail, political mail being a real success this year. 31% higher than expectation and even higher in October they had 2.8 billion pieces processed just election mail. So that was quite impressive. Chris: No, I agree. And you know, we talked about that before. I mean just for BCC software alone, 3.7 billion names and addresses process through our data center just for October alone and and we know that a lot of that was election related mail because we're a DSF or Delivery Sequence File direct licensee and so we know a lot of our customers are doing these saturation mailings. So based on the growth that we saw in DSF processing the overall mail volume, we absolutely infer that a lot of that was election mail. I noticed that he also had shared that of that 2.8 billion pieces, process 2.6 billion of that was marketing mail and I think that that squares up with what we were seeing through our servers here in Rochester as well as just kind of what I saw my own mailbox, a lot of different elections were leveraging mail is a way to get the voters information out. So it's good. I think that's encouraging. Anita: And then what I find fascinating is when Dave talked about all of the disaster recovery efforts, I mean we had hurricane Michael in the panhandle of Florida and then we had the California wildfires. Were you surprised that there were 61 postal employees who lost their homes? Chris: I was, in the total number and certainly it's been sad information coming out of California and you know really the west coast relative to these fires and how quickly move and so forth. You know what's interesting, it's a real testament to the credibility of the postal service and the dedication to the mission of those postal employees that were impacted personally. They still showed up to work. They were still delivering the mail, they were still, you know, very much hands on and I think that's an important part of the postal service and our postal partners that you know, I'm always pleased to hear and see firsthand is they are a trusted entity that's certainly demonstrated their dedication to the mission. I also think it was interesting, too Anita, when they were talking about that is the leveraging of the geospatial technology now, so the postal service being able to leverage this geospatial technology part of it with the Mobile Delivery Devices that the carriers have, but it's just pulling all this data together and giving the post service some interesting insight and immediacy to where impacted areas are and will continue to look for ways to get that information shared to the industry. I still think that there's a great opportunity to share that information through partners like BCC Software so we can in turn provision that to our customers that they know what zip codes and areas are impacted for mail preparation and mail delivery. But yeah, that was sad information, but interesting how the data and the immediacy of that information can be leveraged now. Anita: Exactly. So anyway, then we heard from Sharon Owens, she recapped the price filing and announced that the PRC had approved the delay in the dimensional weight pricing until June 23rd and I don't think we really need to go into that any further because we've discussed that on the podcasts, but she talked about recognizing that the rate filing did not go as well as she had wanted, you know, understanding that we didn't get forward guidance of any kind and it caused us to have the inability to preplan or you know, there was a great deal of uncertainty to it. So hopefully going forward now that we have a couple of governors we'll have a more typical timeline for implementation and she's heard us loud and clear that we wanted as much advanced notice as possible. Chris: No, I agree. And we'll talk a little bit on a future podcast about where a governor David Williams, his view on the matter. But I agree it's unfortunate, just the timing of everything. The Post Service and the governors had to scramble quickly to get it there. I'm grateful that that we do have it and we're working on it actively as I know many of the companies are in the industry and like you said, it's unfortunate that part of it's deferred, but understand that part so we'll continue to work and get the software and technology to our customers as quickly as possible. Anita: Good. One subject that we did not have enough time to discuss and I think we've decided that this would be a great future podcast topic is well as the informed addressing. Do you wanna do you want to talk a little bit about that? Chris: So briefly, and I think we touched on it on a prior podcast. So it's an interesting concept where the postal service, they want to leverage the informed delivery data and the access. You know, there's over 9 million people that have email subscriptions now to informed delivery and certainly I get them too when it's still kind of an exciting thing to see the color replacement images that come in my daily email from informed delivery. So the idea is that, hey, if I'm seeing certain types of marketing pieces and maybe I'm, you know, I'm an outdoor person, heavily involved in scouting and things like that, so you know, maybe I could opt in from a consumer choice aspect, notify the postal service that hey, I would like to see more camping and outdoor gear type marketing materials. The postal service would then, through that request of mine, shared a other emails, uh, informed delivery replacement images that other people may be in my neighborhood are receiving. And so I would kinda have an opportunity to opt in into sort of this shared or expanded marketing capability. So that's great. I'd be able to kind of see some other things through this opt-in approach. But then simultaneously the idea was at the postal service recognizing that I'm interested in that, share my address with those marketers so that they'd be able to then subsequently include me in some kind of a future mailing opportunity. Well, Anita, here's where it gets interesting. Title 39, Section 412 for Postal law is very explicit about the postal service being prohibited from sharing list of names and addresses and we could dedicate a whole podcast on how they get away with that with the NCOA technology shortly. It's, it's encrypted, but I think they're using that concept of if we could encrypt the data in such a way of the address that it doesn't constitute a human readable address, could we then not be subject to this Title 39 Section 412 requirement. And that's kind of where we get into this thing called intelligent addressing where that the delivery line instead of 75 Josons Drive for BCC software, that that line would be an alphanumeric encrypted code of 35 or 40 bites or whatever it is. And that it wouldn't be human readable or human decipherable. You would have to somehow use a scanning device to be able to decode what that address is and that that decoding capability would only be available to postal clerks. And there'd be no way that we'd be able to, uh, on the industry side know that while it's actually 75 Josons drive that's in there. Okay, long path to get to where, you know, get the guy on kind of where the postal service was thinking of that, hey, here's a way to get more male in the system by allowing consumers to choose to do that. But there are challenges with that. We'll start with the technology aspect, CASS-certified software. We'd look at that line of Alphanumeric for, uh, for the delivery address and they have no idea what to do with that, right? We follow very specific rules for parsing and matching and so forth with addresses. So there's a challenge with CASS-certified software. How do we handle that, that hasn't been discussed or even talked about. Then you get into the privacy issue, “Hey, wait a minute, did I say that you could use my address for that?”. And there's a whole cloud of questions around this and I'm only touching on that Title 39 Section 412 because I happen to know that particular section pretty well. So back to the address quality days. So there's a lot of conversations, Anita, around this. We were a little bit taken aback at how aggressive the postal service and in particular Gary Reblin seemed to be about this. In fact, there was even some concepts I think he might've said that they wanted to sort of launch this at the National Postal Forum in Indianapolis next May. That's very aggressive. We'll have to see. I know that there was conversation at the end of MTAC about forming a work group to look at this. We need more people than just a task team on this. It's got to have a broader input. I like the idea of leveraging informed delivery. I really, really do. And I think informed delivery is an important part of multichannel marketing. So I see a future leveraging that data somehow, but I just see a lot of barriers and hurdles to get past with this informed address in concept. Anita: The label broker. That was something I had not heard of before. I thought that was an interesting concept. Chris: It is, and in a way, it actually leverages what I just tried to explain briefly there. So let's again go back to this idea that there is a name and address that's encrypted and so one idea was returning parcels, so let's say I bought a pair of slippers online and they arrived at my house and tried them on. They're not quite right, so I want to send them back to have an exchange. Rather than have a preprinted label in the box to return, which represents costs for the shipper to put that in there. The idea is that I could request from the supplier that I want to return these slippers. They send me a two dimensional barcode or some kind of a barcode to my phone, kind of like you would get when you go to check into the airport for um, for printing boarding pass, I would take my parcel with my slippers in it, go to the local post office. They would scan the barcode on my mobile device and then behind the counter print for me the shipping label that would go on the box. And so then they will take care of everything for me. And what this does, Anita, is it recognizes that a lot of people don't have printers anymore in their homes. They've gone kind of paperless and it would be an interesting way to be able to print the labels at the post office to help you. In the case of return parcels where I thought it was very creative is given, you know, we're in December here, there's this whole Operation Santa Initiative and I encourage our listeners to look up operation Santa with the postal service and the fascinating background on it. But in this case, this label broker concept could be applied so that I don't see the actual name and address of the child that I'm trying to fulfill their Christmas wish for. You know, they've asked for Santa for a skateboard or something like that. I can purchase the skateboard, put it in a priority mailbox, bring it to the post office and they would print the label for me behind the scenes and that I wouldn't see the child's name and address. And so that, that really simplifies a lot of some of the challenges that we've had in the past with this operation Santa. So I think that's a really cool idea. Anita: Speaking of Operation Santa, they're expanding it this year to seven new cities and the website is delivercheer.com. I was thinking about actually participating in and bringing a gift to the Washington DC post office that's listed as one of the cities, but there were no letters in DC yet. But if you look at New York, it's, oh my gosh, you actually see a picture of the child's letter. It's a fascinating program, but you're right about label broker being really perfect for that. So, let's see, what else was discussed… Pritha talked about the new BCG, Business Customer Gateway upgrade is supposed to be launched in February. I don't know if that's gonna hit the February 1st timeline. She also mentioned that the new SKU table, the pricing table is going to be posted relatively soon. I think that's so new. We could probably spend more time on that later as well. And then EMIR the EMIR reports there, be available on the MDD, what does MDD stand for? Chris: That's Mobile Delivery Device. So EMIR is the Electronic Mail Integrity Report. This is a way in a situation where you have bundled breakage or container integrity issues, the postal service provisions information about that to the industry and we'd like to be able to see what's going on with this and so with this electronic EMIR, if you will, a way to be able to provision that to the industry, both mailing service providers and they've talked about making this available to the male owners as well. It's just a way to be able to make sure that we understand that when we're preparing these bundles and containers that were doing it with a way that ensures it stays intact as it's being handled by the postal service through particularly through the automation equipment because you have a bundle breakage that occurs on an APS machine or something like that. Not only does it damage the piece, but it really impacts productivity. Anita: Right? Exactly. Hey, we didn't talk about Joe Corbett's financial report, but one of the things that he said that I thought was really interesting is that they're package growth is slowing. I think everybody knows that, so they're only expecting a 3.1% growth in packages next year. Last year was 6.8% and then the years prior to that word, like 13%. So we're really starting to see the impact of the efforts of ups and Fedex and Amazon and trying to expand their reach into the last mile. So that worried me a little bit, but he mentioned I'm a 900,000 driver shortage and how ecommerce has changed the world. So I thought that was kind of an interesting statistic and that might segue right into the last topic that we wanted to discuss and that was the industry presentation we had. Oh my gosh, it was fascinating. Rebecca Brewster from the American Transportation Research Institute. What were the highlights for as you were concerned? Chris: Well the few things that I, and and I agree with you by the way, I love the fact that MTAC has these external industry experts that come in and give us a broader understanding and appreciation for how complex and diverse this ecosystem of mailing industry really is. So Rebecca Brewster's presentation, she focused on a couple of things I thought were interesting. One is shortage of drivers and you talked about that with Joe Corbett, and it really is a serious problem right now is just getting people to be interested in becoming over the road transportation providers. So there's definitely a shortage of drivers. There's also some regulation that went into effect that's really beginning to impact the transportation industry and that includes mandated contiguous rest hours. So certainly we don't want fatigued drivers moving these 50 foot trailers and things like that. But at the same time, it takes away the opportunity for a driver to be able to manage and adjust and flex their transportation time schedule so that they're avoiding highly congested traffic areas or certain times of the day where you know you're going to have a problem, um, and today you have to have this mandated and it has to be contiguous amount of time that they have to be stopped and it's all being monitored and measured electronically so that there's no way you can adjust the log books with that. So it does put some restrictions in difficulties for the transportation carriers and also when they're required to stop, Anita, of the other challenges, the limited availability of rest areas. And I've seen that firsthand. I have to tell you to my family and I, when we go back to Minnesota in the summer and we drive our rv back and forth. Anita: You mean when your wife drives the RV. Chris: Truth be told, truth be told, Carla's phenomenal at the navigating a Chicago in this giant rig. But I can see it firsthand. These trailers are parker on exit ramps. And entrance ramps and things like that because there's just no availability in some of these red stop areas. Uh, some states have made adjustments. The state of Ohio, for example, on their turnpike, they do have designated parking areas for trucks and then for cars and actually an area for rvs which has really welcomed, but it can be a real challenge. I see a lot of it in Indiana. I in Illinois. So it's a challenge I'm sure across the country and something that hopefully some of the local legislation will get a bit of appreciation and give a little bit more flexibility so we can take care of this because it's only gonna get worse as more product is being fulfilled from ecommerce and things like that. Anita: Right. I thought one of the interesting statistics was the cost of congestion, right? She said that there's 1.2 billion hours of lost productivity because of just pure traffic and that that would equate to like 425,000 commercial drivers sitting idle for a year. So, and of course Atlanta has the number one and number four spots in congestion. And I can attest to that. Chris: Exactly. Well, again, no shortage of activity and conversations at MTAC. Certainly some things that we're going to watch going forward, including that informed addresses addressing and you know, for our listeners, I look forward to a special podcast where Anita and I are going to talk about that Board of Governors and some insight the governor David William shared with us while we were at MTAC as well. Anita. Thank you for all the great information and the recap. Anything else to add? Anita: You know what, let's just close by announcing that Dennis Farley with ESPN and Jim Cregan from Magazine Publishers. They both retired and they were recognized by Megan. So that was a real nice tribute. Chris: That was great. And certainly they've done an incredible job and contributing to the industry and MTAC and we wish them well on their retirement and whatever the future has for them ahead. Chris: Well I want to thank our listeners again. Thank you, Anita. Chris: All right, and thanks everyone for tuning into this podcast. Please stay tuned for future information from BCC Software. Visit our webpage or, or give us a phone call or you can reach us at BCCsoftware.com. Let us know how can we help? Have a great day. Everyone.